We don’t really have a “favorite” assignment, but every so often we have the opportunity to support an amazing event or organizations, one that heals hearts and souls and truly makes a difference. It’s these events that require the most work, the longest hours, and often bring the most stress. Yet, these are the programs that we look back on and remember. 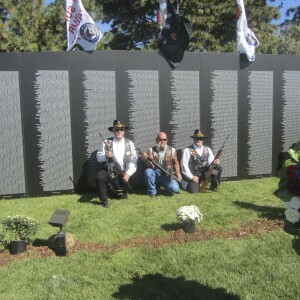 Corridor Communications had the opportunity to work on one of these events last week, in Boise, Idaho, the American Veterans Traveling Tribute. This program creates a forum for communities to come together to honor, respect, and remember those who have given the ultimate sacrifice for their country and to educate all to the cost of freedom. It was an honor to support this event, to work with the veteran community of Boise, Idaho, and those veterans who traveled from across the country to join us. We appreciate the support of the community, the media (especially station KIDO), local and state politicians, and Governor Otter and his staff. Most important, we appreciate the support of the residents of Boise, who are some of the friendliest people we’ve ever met. Knowing that we touched even one life makes all the difference in the world.